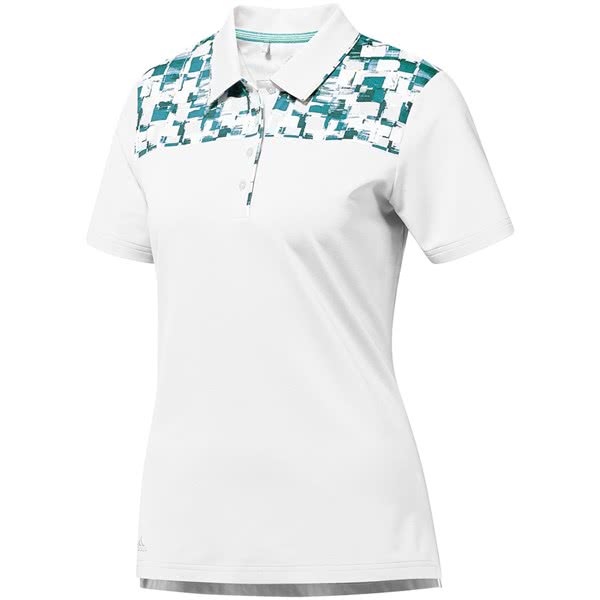 The adidas Ladies Ultimate Short Sleeve Fashion Polo Shirt has been engineered to deliver and provide performance, style and enhanced comfort. Adidas have created this self-fabric, button down polo collar with a four button placket that features a graphic front and back print. 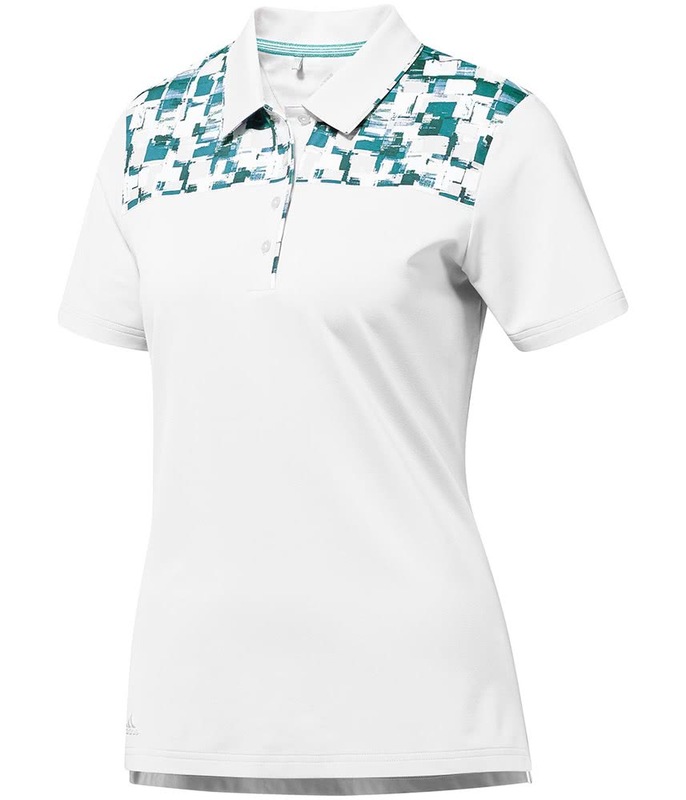 To deliver the ultimate performance on the course adidas have used a lightweight, highly breathable fabric that will quickly and efficiently wick-moisture and prevent sweat build-up while providing essential protection from the sun with its UPF50+ UV finish. The fabric contains a technical stretch that will enhance your directional movement and mobility whilst offering an incredibly comfortable, stylish and flattering fit. Self-fabric button-down polo collar with four-button placket. Half moon back neck insert with 3-Stripes. Graphic front and back yoke. Split side hems for freedom of movement.